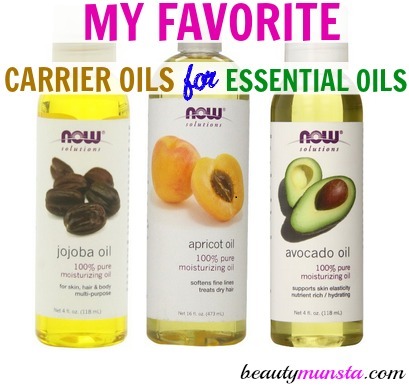 My Favorite Carrier Oils for Essential Oils - beautymunsta - free natural beauty hacks and more! Carrier oils, also known as base oils, are vegetable oils got from the kernels, nuts, seeds or fruit of a plant. They are called carrier oils because they simply ‘carry’ the essential oil onto the skin. Most carrier oils are extracted from the fatty parts of the plant which can be squeezed to get oil. 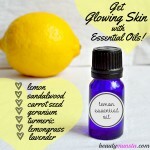 Since essential oils are very potent and concentrated, you must blend them in a carrier oil before application. There are many carrier oils for essential oils you can use but there are many differences why you would choose one particular carrier oil over another including the cost, availability, nutrient content, allergies and more. In this post, I’ve listed some of the most popular/commonly used carrier oils for essential oils, their benefits, properties & other useful tips! My favorite carrier oil is coconut oil because it is readily available since I use it for almost everything including cooking and skin & hair conditioning. Plus it’s full of antibacterial and nutritious goodness that I simply can’t miss out on! Remember to purchase pure and high quality carrier oils for your body. If you can also get your hands on the cold pressed version, then that would be amazing. Now, let’s explore the most popular and best carrier oils for essential oils + their origins + profile + shelf life & more! Scent, viscosity & color: Coconut-y rich aroma. Creamy consistency (in cold climates), Slightly yellow oil in tropical/warm climates. Thick white color. Coconut oil is my best carrier oil of all time! I just love the delicious coconut aroma that makes me think of summertime in a tropical beach. Coconut oil can easily be absorbed into the skin and blends well with most of essential oils. It contains powerful antibacterial, antiseptic, anti-inflammatory properties and more that will fight acne and other skin inflammatory conditions Being an excellent emollient, coconut oil is very beneficial for people with dry, cracked and withering skin. It is rich in oleic acid and other essential fatty acids that keep skin soft, smooth and supple. Coconut oil protects the skin by leaving a thin lipid layer on the skin & warding off pro-aging free radicals. Scent, viscosity & color: Smells somewhat like olives. Thick & Heavy. Light to medium green. A heavy and thick oil, olive oil is a great emollient which can be used to lubricate skin especially dehydrated, chapped, cracked and dry skin. It contains a significant amount of essential fatty acids and alpha linoliec acid that nourish and moisturize skin. Olive oil can be applied as a remedy for arthritis. It is soothing for inflamed skin and can be used to make mature and aging skin appear more youthful. Scent, viscosity & color: Faint & distinct but pleasant scent. Medium to thick. Golden. Native Americans heated jojoba (read: ho-ho-ba) seeds to soften them and then used a mortar and pestle to create a soft salve which was used to heal & condition skin and hair. The jojoba oil extracted commercially today is liquid wax ester got from jojoba seeds. Jojoba oil is more similar to human sebum than any other vegetable carrier oil because it is not a triglyceride but rather, an extremely long (C36–C46) straight-chain wax ester. Jojoba oil is an excellent moisturizer and contains mystiric acid, which gives jojoba oil strong anti-inflammatory properties. This carrier oil helps drive out impurities, grime and dirt from deep within pores thereby helping prevent acne. It also contains antioxidant properties that protect the skin from premature aging. 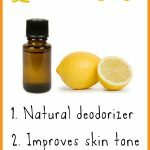 It does not go rancid due to its being an antioxidant, and can be combined with other oils to prevent them from going rancid. Scent, viscosity & color: Strong, sweet & nutty. Thick, rich texture & feel. Pale golden green. This rich and nourishing oil comes from the avocado fruit (yes it’s actually a fruit not a vegetable!) It has a thick texture and is rich in essential fatty acids, vitamin A, E and D as well as lecithin. All these nutrients are especially nourishing to tired, dull and lifeless skin. Avocado oil rejuvenates and lubricates dry skin as well as soothe inflammatory skin conditions like eczema & psoriasis. Applying avocado oil delays premature aging, help prevent stretch marks as well as promote hair growth. Scent, viscosity & color: Faintly sweet, nutty aroma. Medium viscosity. Clear with slightly yellow tinge. Sweet Almond Oil is extracted from the dried kernels of the almond tree and is used in many conventional skin and hair care products because of its numerous beauty benefits. It contains a high amount of vitamins especially vitamin A and vitamin E, which is also known as the ‘skin vitamin’. Sweet almond oil can easily be absorbed and is a good lubricant which keeps skin moisturized, soft, smooth and looking youthful. The shelf life of sweet almond oil is said to be 12 months though its lasts longer by blending with powerful antioxidants like vitamin E oil or wheat germ oil. Having an applicator bottle to store your oils for easy application is handy! You can blend different oils and essential oils together and store it here for your hair treatments, scalp massages, body massages and more! Scent, viscosity & color: Slight aroma. Medium. Faint golden. Apricot kernel oil can easily be effectively absorbed by the skin without leaving any oily residue. It is effective as a massage oil, particularly great for facial massages because it is light and easily spreadable. Apricot kernel oil is rich in polyunsaturated acids and other essential fatty acids like linoleic & oleic acids. It’s soothing, revitalizing, anti-inflammatory, nourishing and moisturizing properties make it excellent for all skin types including withered, tired, sensitive & mature skin. Scent, viscosity & color: Faint nutty scent. Thin & light. Pale green. Extracted from the seeds of wine grapes, grape seed essential oil is rich in polyunsaturates and can easily be absorbed by the skin. It is a natural astringent which tighten, tone & firm the skin as well as control acne. Its emollient properties balance out the natural oils and keep skin moisturized and glowing. Grape seed oil is also particularly good for aging and sun damaged skin because it contains a significant amount of proanthocyanidins, which are powerful antioxidants that not only fight off wrinkle-causing free radicals but also heal sun damaged skin. Grapeseed oil will last about 6 to 12 months if stored well. Scent, viscosity & color: Sweet & nutty. Slightly thick. Golden. In Ayurveda, sesame oil is popular used as a perfect massage oil which is said to not only keep skin healthy but also promote strong bones. Sesame oil is a wonderful emollient which promotes supple, soft and youthful looking skin. It is used to gentle soothe and heal skin inflammatory conditions including psoriasis, eczema, etc as well as help fade blemishes. Sesame oil can is excellent for moisturizing aging skin and reduce signs of aging. Since sesame oil is a thick oil, you can always mix it with another oil such as grape seed oil to make it lighter. Scent, viscosity & color: Yellow/orange/reddish orange color. 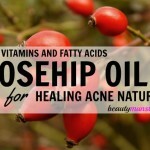 Rose hip seed oil has amazing skin rejuvenating and & healing properties that not only help reduce signs of aging such as fine lines around the eyes but also heal scars, stretch marks and mild burns. It is rich in vitamins like vitamin C, which is necessary for the synthesis of collagen in the skin, thereby helping improve the tone, elasticity and suppleness of skin & preventing fine lines and wrinkles. It also contains vitamin E for moisturized skin and essential fatty acids which have cell regenerative & scar healing properties. Rose hip oil is a great emollient and at the same time a natural astringent, which enables it to balance out both oily and dry skin. 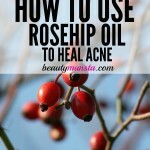 You can use rose hip oil neat on your face to revitalize tired skin or combine it with other oils when creating a massage base oil blend. Origin: Native to Arabian Peninsula, North Africa, Turkey, Southwest Asia – Middle East, South Europe, Turkey and the US. Scent, viscosity & color: Wheat aroma. Thick & sticky. Golden orange brown. A wheat grain consists of three parts: the husk, the germ and the endosperm. Wheat germ oil is a carrier oil extracted from the germ of wheat, which contains about 25% of all the vitamins, minerals and protein in wheat. It is very rich in Vitamin E and essential acids, which are both very necessary to beautiful glowing skin & luscious hair. Wheat germ oil improves circulation, helps treat sun damaged & aging skin, promotes cell regeneration and growth, heals dry cracked & itchy skin conditions, as well as inflammatory conditions such as psoriasis and eczema. Because of its high antioxidant vitamin E content, wheat germ oil cannot easily go rancid and is usually added to other carrier oils to lengthen their shelf life. You should mix wheat germ oil with another carrier oil because it is too sticky and heavy to use on its own. 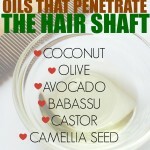 Please use caution when trying any of these carrier oils on your skin or hair. If you have nut allergies, consult your medical practitioner before coming into contact with oils extracted from nuts such as almond oil. If you’re allergic to any of the oils mentioned in this post, or the ingredients used to produce them (for example: wheat), refrain from using them on your body.